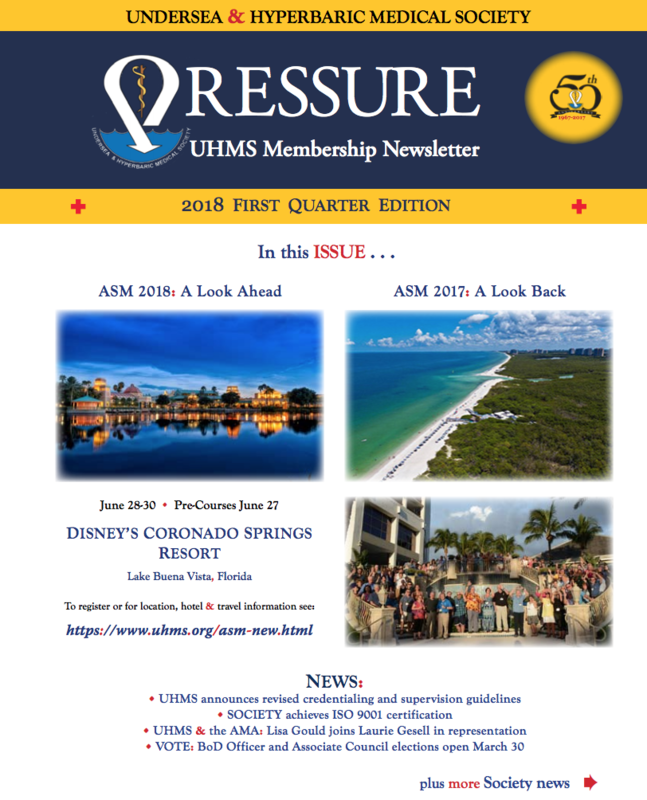 Our friends and colleagues at the Undersea and Hyperbaric Medical Society (UHMS) invite you to enjoy a complimentary copy of Pressure, the Society's bimonthly newsletter. The newsletter will give you a glimpse into UHMS membership benefits. So, if you've been curious about what it means to be a UHMS member, this issue of Pressure will give you an insider's perspective.